Here’s what you can find on this round of Swank’s 50 Shades of Red. 4 MORE DAYS TO GO!! We are about to officially open SWANK for February round with the theme 50 Shades of Red for Valentines day. 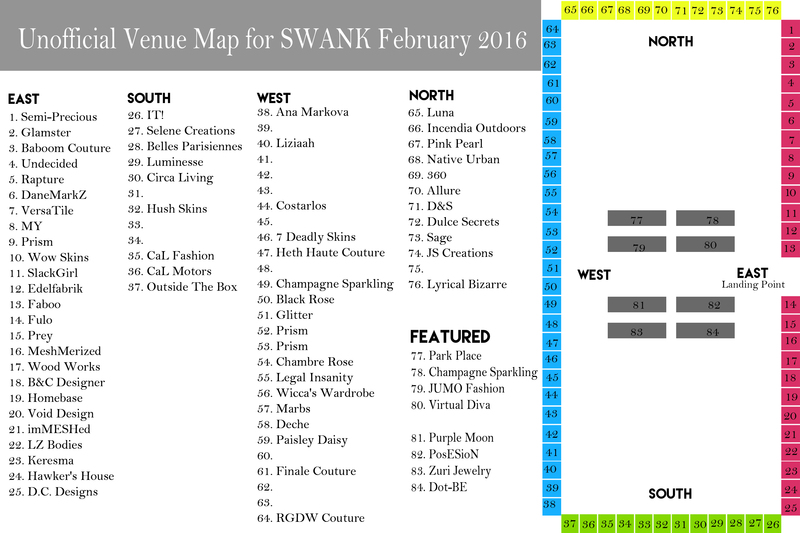 We are so excited to present you the OFFICIAL Venue Map with 84 creators joined in to showcase their amazing designs. Feel free to browse and spot on your favorite creators and make sure to visit us here at SWANK. Heya, Fashionistas! Another round have passed and we’re so ready to move to another round. Presenting Swank Events “50 Shades of RED”. We would also like to present you our official February round poster! Please like and share! See you there!